Writers Paul Jenkins (Inhumans, Wolverine: Origin) and Bryan Lie team up with artist Hendry Prasetya (Mighty Morphin’ Power Rangers) for an all-new mystery thriller in GOD COMPLEX, an ongoing series launching from Image/Top Cow this October. 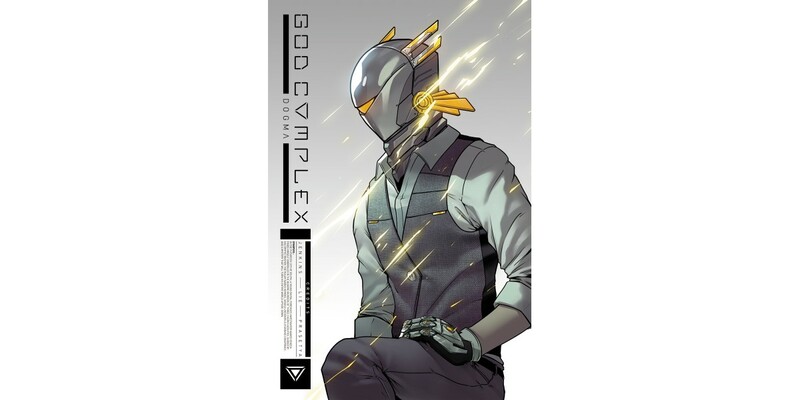 GOD COMPLEX is set in the futuristic city of Delphi where a young digital-forensics investigator named Seneca finds himself embroiled in the bizarre murders of three church acolytes. Guided by his cryptic mentor, the Ruler named Hermes, Seneca uncovers a stunning conspiracy and a mystery that will turn his entire world upside down. Join the GOD COMPLEX team on a unique vision of a digital future powered by mythological gods. GOD COMPLEX is the first original toy line-up from Jakarta-based GLITCH. It features sci-fi and high-fashion reimaginings of mythological gods from various beliefs/regions like Greek, Egypt, China, and Japan. The toys first released in 2012 and are available for purchase at www.glitch-store.com. GOD COMPLEX is created by Bryan Lie, who is GLITCH co-Founder and CEO. The company has released more than ten characters within five years, and they have been a mainstay hit in the high-end collectibles community, mainly in Japan, Hong Kong and Southeast Asia. GLITCH is bringing the IP to worldwide attention, collaborating with Top Cow Productions to publish the comics to tell the rich stories behind characters and the GOD COMPLEX universe. The first comic is GOD COMPLEX: DOGMA and questions the nature of gods, religion, truth, and human faith, set in age of misinformation and post-truth. GOD COMPLEX #1 (Diamond Code AUG170549) will hit stores on Wednesday, October 11th. The final order cutoff for comics retailers is Monday, September 18th.